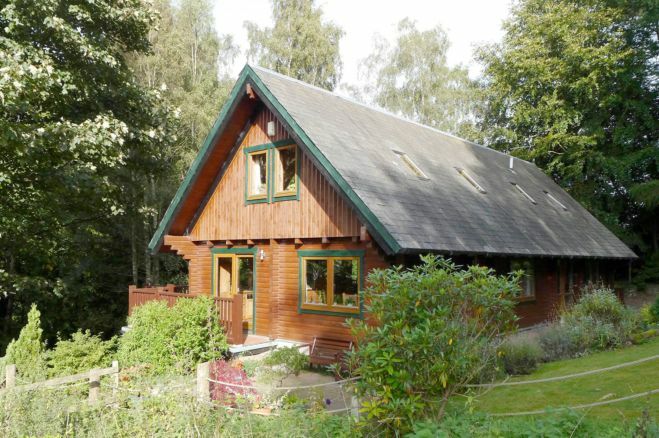 Idyllic family home recently featured in The Guardian Top 5 UK Homes for Sale in Woodland and currently offered at £40,000 UNDER HOME REPORT VALUE. 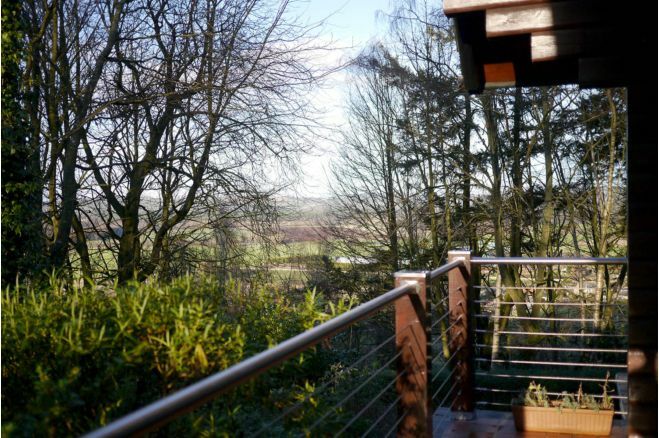 Nestled in a tranquil setting, this unique home with wrap around veranda enjoys views over the surrounding countryside and backs onto woodland. 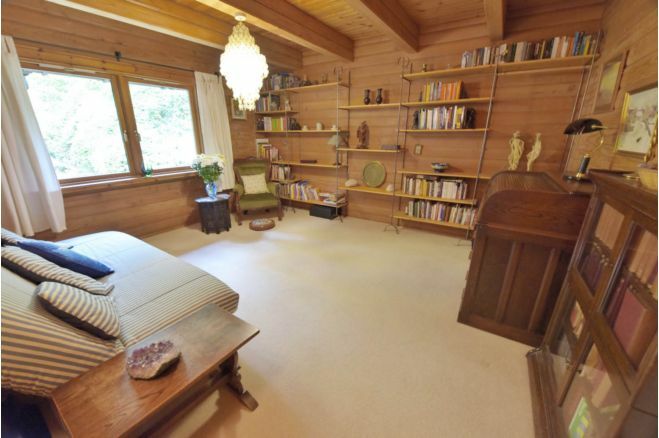 Built on 1/3acre, the property features dramatic vaulted ceilings and timber walls. Comprising spacious lounge, semi open plan kitchen - dining room, family room, 5 bedrooms, large office/bedroom 6, family bathroom, shower room and large utility room. 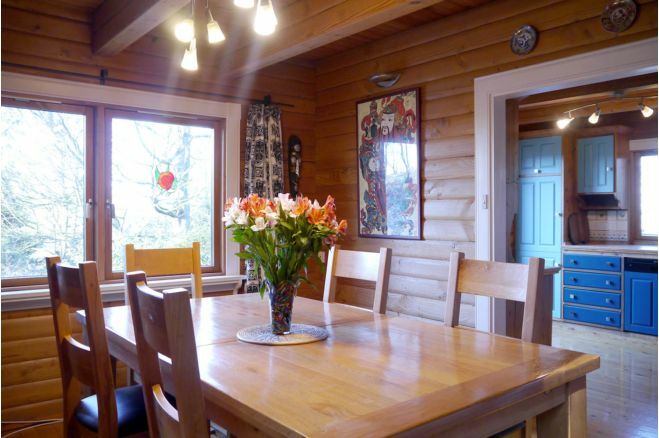 The accommodation is flexible enough to use the lower level as a separate annex. Scandinavian double glazed windows and external doors. Electric heating. Integrated large garage. 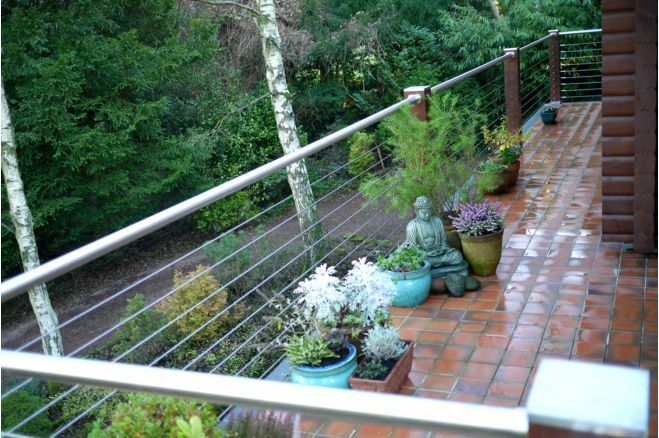 Set in mature terraced garden, privately positioned with ample parking. 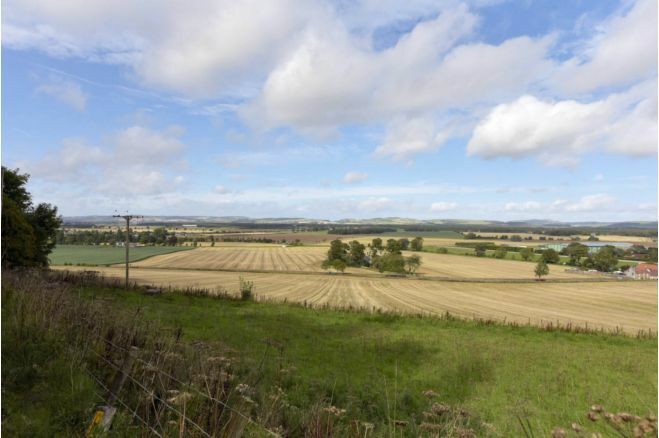 There are good road and rail links into Fife, Perthshire, Tayside and Edinburgh, 1.5miles to Ladybank Station. St. Andrews is just 20 minutes away. Any questions, please phone Vicki on 01337 831172. The lower entrance hallway is accessed via glazed/timber door with co-ordinating glazed side panel. Vinyl flooring leads into a spacious carpeted entrance hall which gives access to all ground floor rooms. A carpeted stair leads to the first floor. 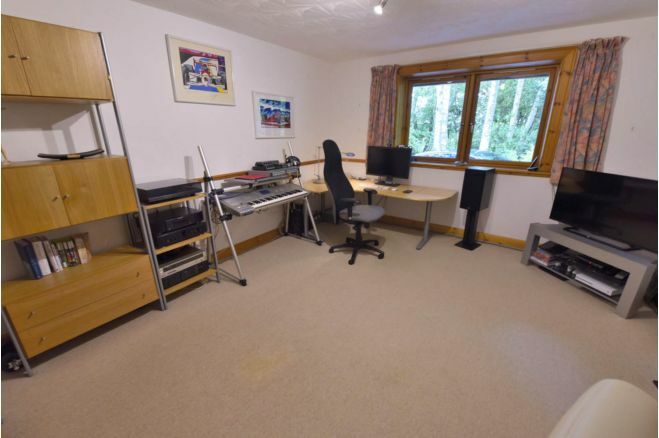 14'11" x 13'1" This lower floor bedroom is currently being used as a spacious office and has large double glazed windows overlooking the front of the property allowing spectacular views of the surrounding countryside. Dado rail. Storage heating. Carpeted. 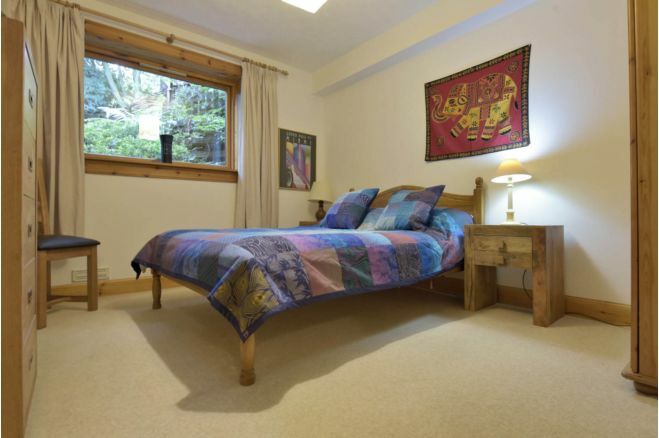 12' x 10'11" Well presented double bedroom currently being used as an additional sitting room. This relaxing space has double glazed patio doors leading out to the front of the property. Electric wall mounted heater. Carpeted. 11'11" x 10'3" Further spacious double bedroom with double glazed window to the side of the property overlooking the garden. Wall mounted electric heater. Carpeted. 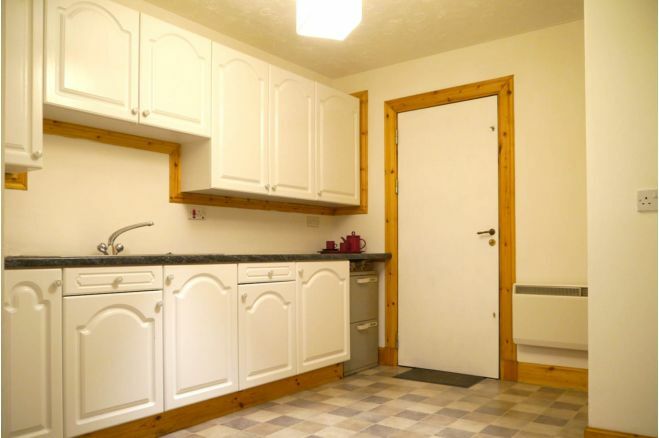 13'5" x 10'3" Spacious utility room comprising of floor standing and wall mounted kitchen cupboards. Ample work surface. Stainless steel sink with drainer and monobloc mixer tap. Two large storage cupboards providing ample storage. Wall mounted electric heater. Vinyl flooring. Access to the garage via timber door. Spacious garage with up and over door. Ample shelved storage. Concrete flooring. 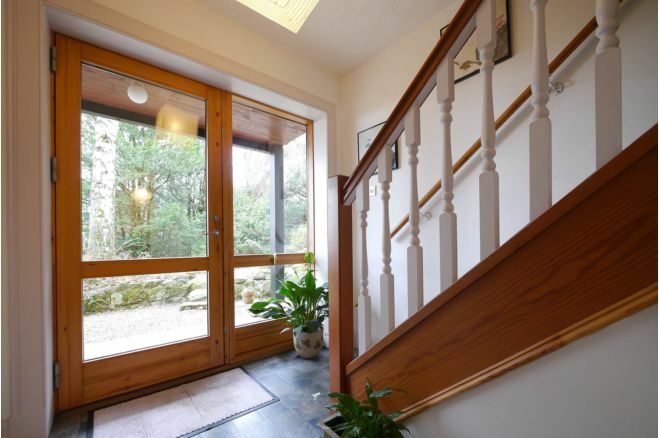 The entrance hallway is accessed via glazed/timber door with co-ordinating glazed side panel. 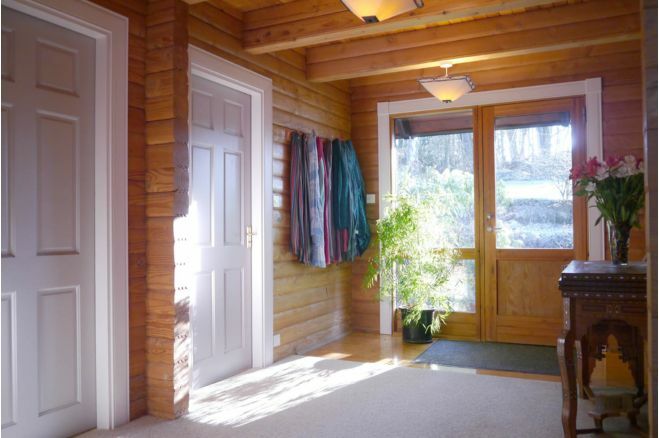 Timber floor leads leads into a spacious carpeted entrance hall accessing the lounge. A carpeted stair leads to the ground floor. 22'8" x 16'1" at widest point Spectacular spacious lounge with patio doors leading out to the balcony. 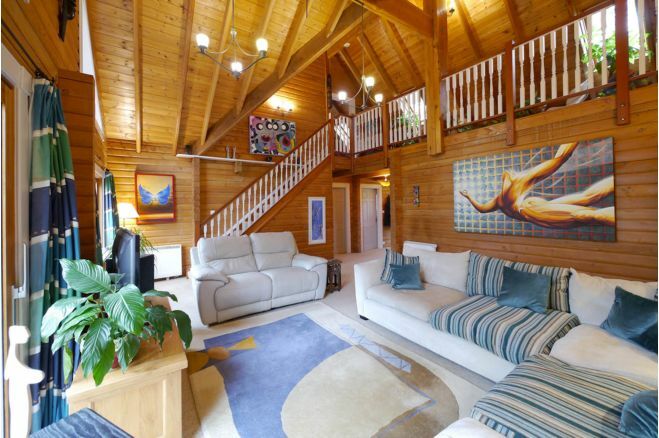 Vaulted ceiling with impressive exposed timber beams. Double height gable end with feature upper triangular windows flooding the room with natural light. Carpeted stairway with timber balustrade leading to second floor gallery overlooking the lounge. Electric storage heater and wall mounted electric radiator. Carpeted. 13'11" x 12'8" Bedroom four currently being used as a library. 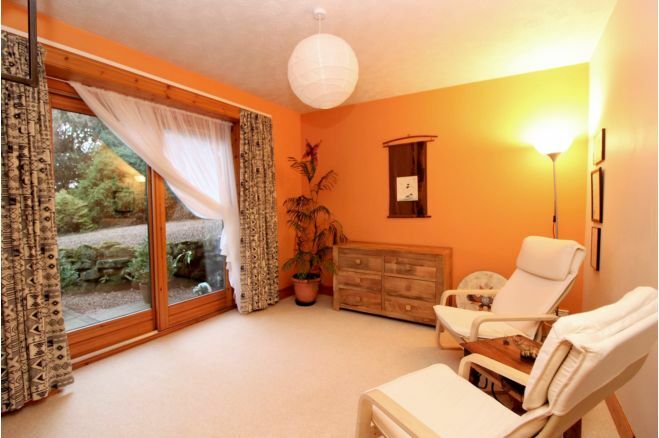 Spacious room with double glazed window overlooking the front of the property. Wall mounted electric radiator. Carpeted. 12'8" x 8'5" Dramatic spacious bathroom with chandelier and bespoke fittings. 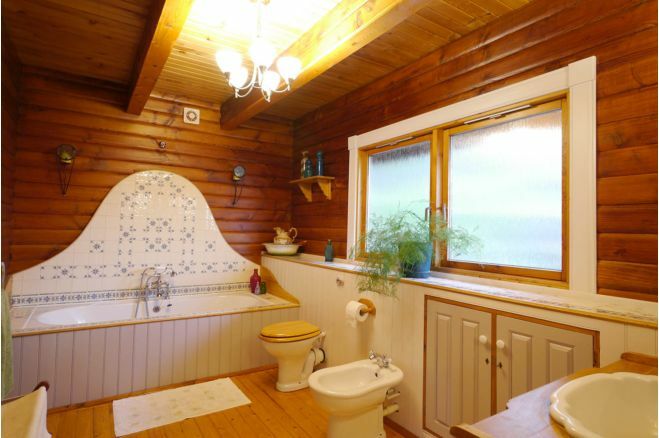 Large panelled bath, with unique tiled splash back. 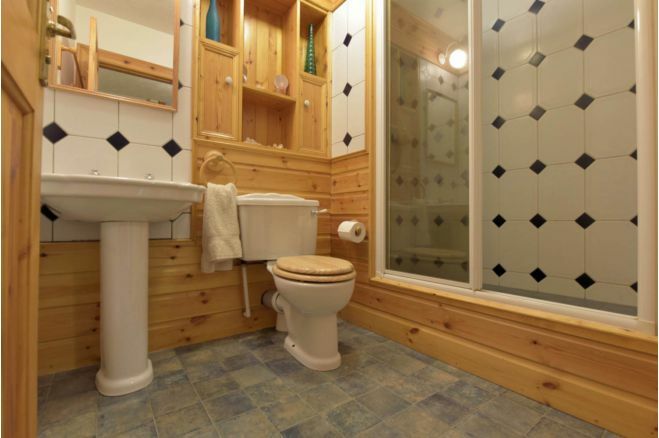 WC with concealed cistern. Bidet. Ceramic sink set in a hand crafted timber vanity unit. . Vanity shelf with co-ordinating ceramic tiles. 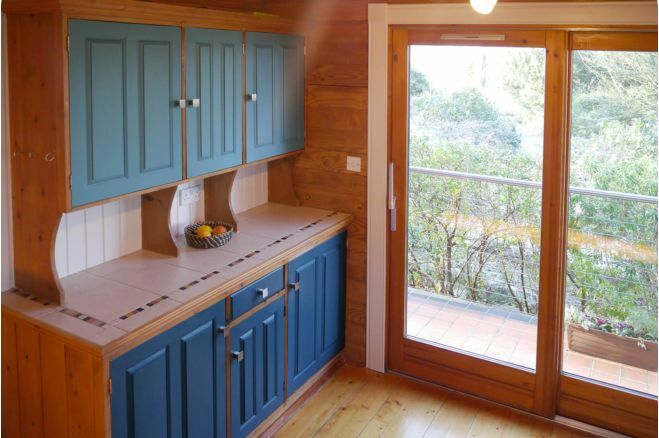 Cupboards providing ample storage. Electric towel rail, wall mounted fan heater. Opaque double glazed window to the rear of the property. 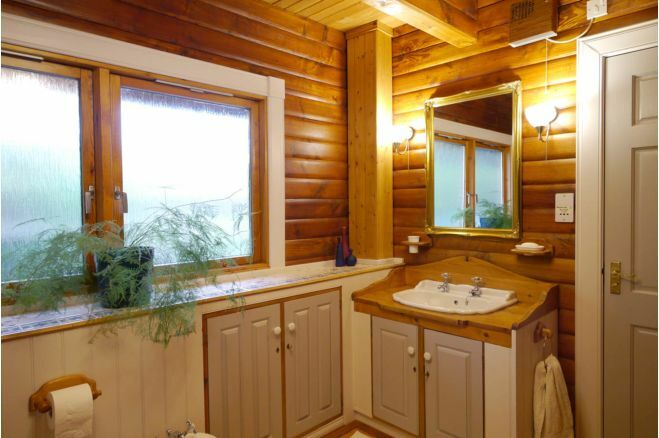 Timber walls. Timber flooring. 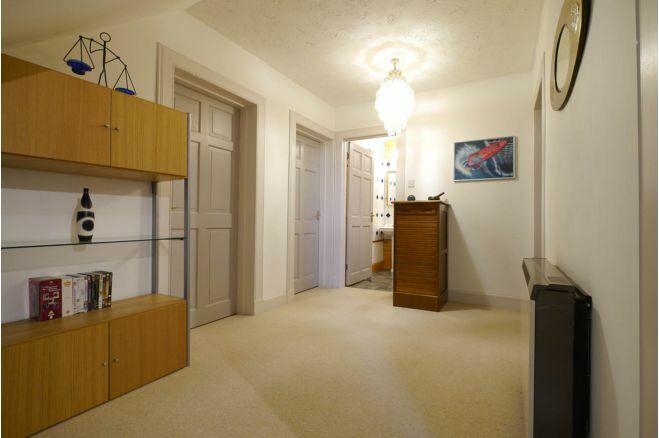 14'1" x 11'1" Beautifully presented room which has recess for the wardrobes with ample hanging and shelved storage. Cupboard providing ample storage. Wall mounted electric heater. Timber flooring. 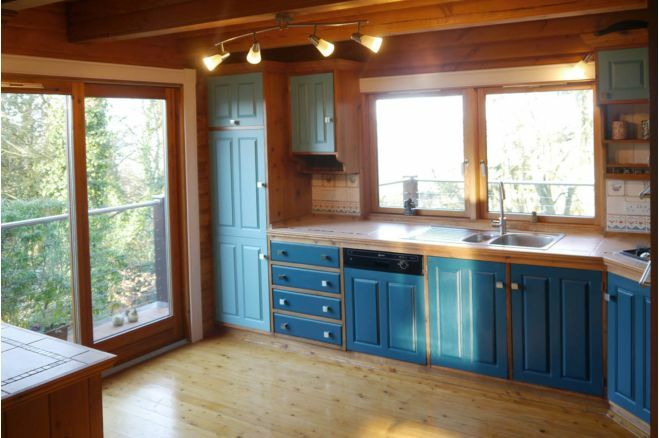 12'10" x 11'3" Beautifully presented kitchen with floor standing and wall mounted hand made timber units. 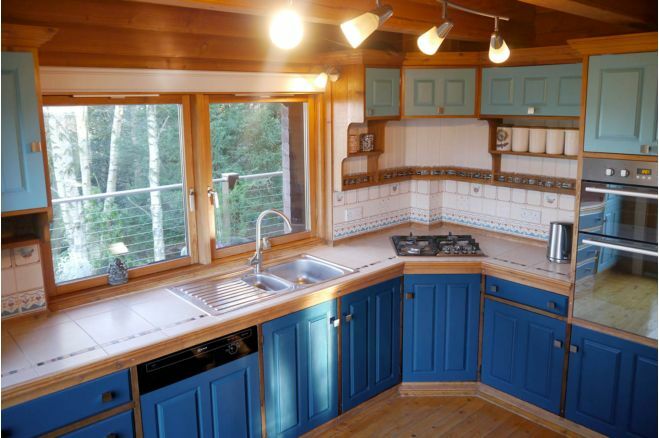 Ceramic tiled work surface. 4 burner gas hob. Double electric eye level oven. Integrated extractor hood. Integrated dish washer, integrated washing machine and integrated larder fridge. Access to the veranda via timber/double glazed patio doors. Timber flooring. Open to the dining area. 12'1" x 11' Beautifully presented with large double glazed window to the side of the property overlooking the patio area. 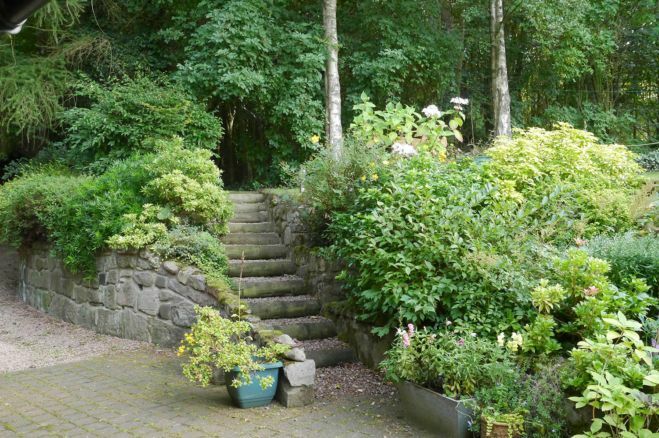 Access to the rear garden via timber/glazed door. Wall mounted electric storage heater. Timber flooring. This second floor gallery overlooking the lounge is a stunning, spacious and relaxing sitting area. 2 Velux windows allowing plenty of natural light. Ceramic tiled display shelving above extensive timber cupboard storage. 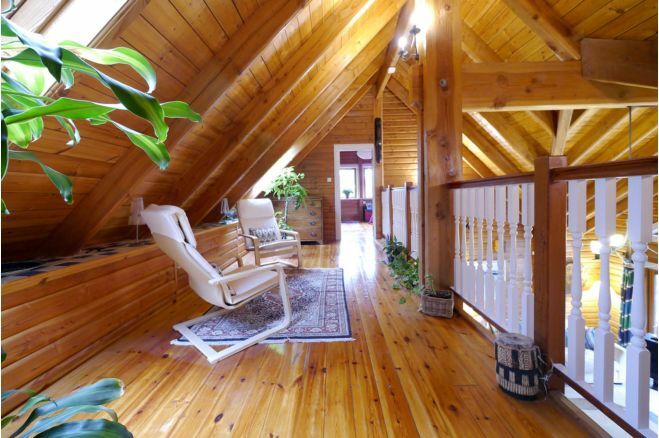 Timber flooring. Carpeted stairway with timber balustrade leads to this floor, which gives access to both second floor bedrooms. 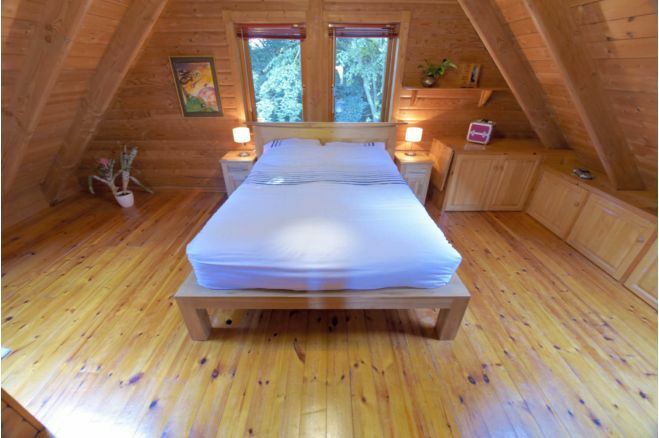 19'2" x 12'8 at widest point Beautifully presented bedroom with open coombed ceiling exposing timber beams. Velux window to the front. Velux window to the rear allowing spectacular views. 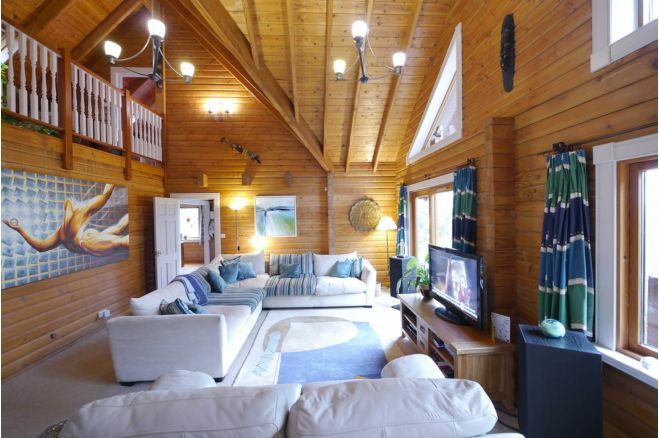 2 double glazed windows to the side of the property flooding this room with natural light. Large built in wardrobe providing hanging storage. Display shelving with timber cupboards providing ample storage. Wall mounted electric radiator. Timber flooring. 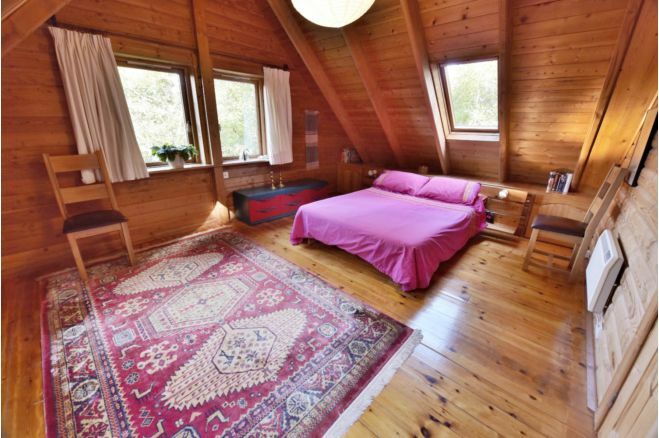 20'4" x 18' Beautifully presented bedroom with coombed ceiling. Velux window to the front. Velux window to the rear. 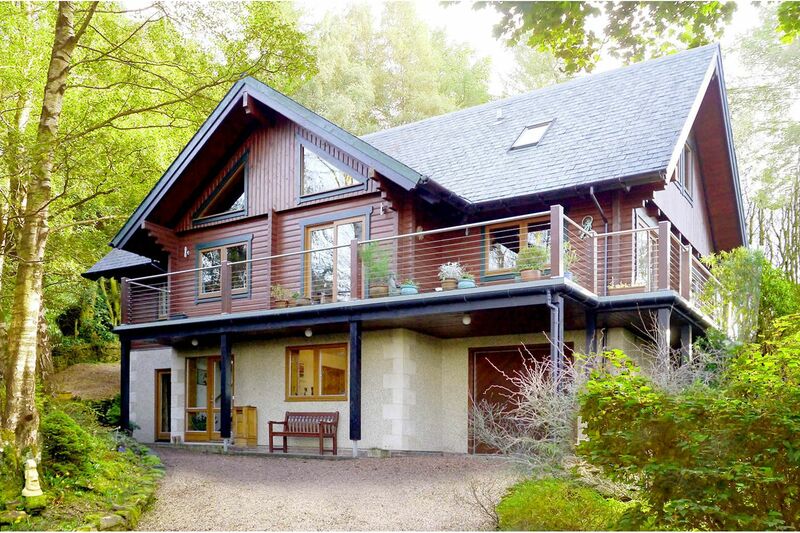 2 double glazed windows overlooking the side of the property and giving extensive views to the Lomond Hills. Display shelving with extensive storage underneath. 2 built in wardrobes providing hanging storage. Electric wall heater. Timber flooring. Patio area. 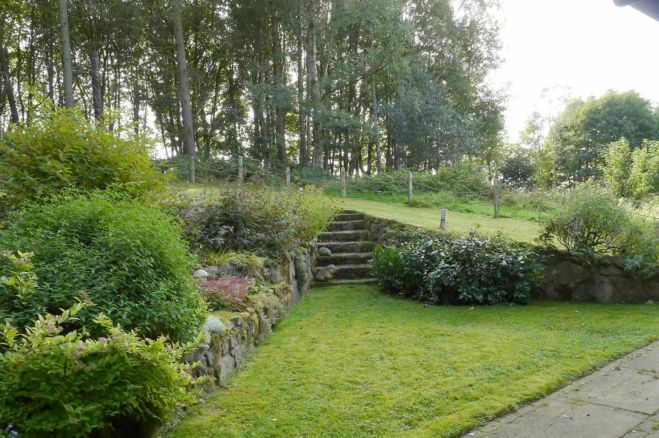 An easily maintained garden with mature planting areas and lawn, a seating platform to enjoy the view, and a stone fire pit. Quaint Timber storage shed, matching house style. Gravel driveway. Ample parking. Illustrations are for identification purposes only and are not to scale. All measurements are a maximum and include wardrobes and bay windows where applicable. Purplebricks use all reasonable endeavors to supply accurate property information in line with the Consumer Protection from Unfair Trading Regulations 2008. However, please feel free to contact the homeowner using the links below before booking a viewing if there is any aspect of this property that is particularly important to you. These property details do not constitute any part of the offer or contract and all measurements are approximate. 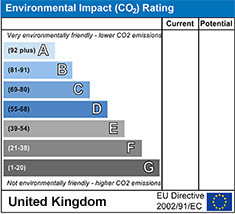 It should not be assumed that this property has all the necessary Planning, Building Regulation or other consents. 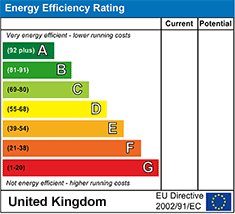 Any services, appliances and heating system(s) listed have not been checked or tested. We earn a commission from introducing third party services to you such as conveyancing, mortgages or insurance products. 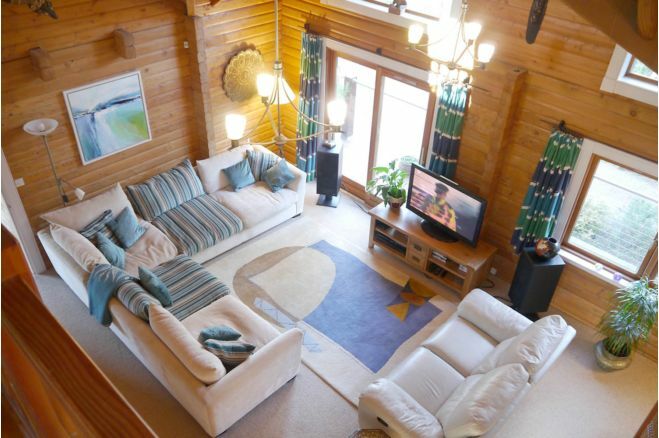 Book a viewing 24 / 7 with our live, interactive diary. You select the date and time - it’s then automatically booked. Make an offer and agree a sale 24 / 7, with the click of a button. Provide feedback on viewings instantly, 24 / 7. Ask the seller a question directly 24 / 7 and receive replies around the clock. Click here to ask the seller a question. Live. Instant. At your convenience.